You are curenlty in Mallinckrodt Medical Inc Shiley™ Fenestrated Disposable Inner Cannula 6 Size, For Use With 6dfen 6dcfn made by Shiley and asigned to category. fenestrated Disposable Inner Cannula (dic-Fen) With Integral 15 Mm, Snap-Lock Connector, Individually Sterile Packaged For Patient Protection, Designed For Use With Dfen And Dcfn. You have selected Mallinckrodt Medical Inc Shiley™ Fenestrated Disposable Inner Cannula 6 Size, For Use With 6dfen 6dcfn from Respiratory Therapy Supplies. We hope that this Mallinckrodt Medical Inc Shiley™ Fenestrated Disposable Inner Cannula 6 Size, For Use With 6dfen 6dcfn made by Shiley is what you were looking for. 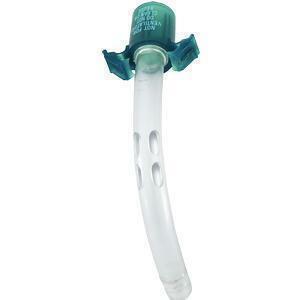 If you have any questions about this particular Mallinckrodt Medical Inc Shiley™ Fenestrated Disposable Inner Cannula 6 Size, For Use With 6dfen 6dcfn or any other products from Respiratory Therapy Supplies, please call us. We have an experienced staff that will gladly help pick out the correct Mallinckrodt Medical Inc Shiley™ Fenestrated Disposable Inner Cannula 6 Size, For Use With 6dfen 6dcfn for you, also. If you are looking to make a purchase of Mallinckrodt Medical Inc Shiley™ Fenestrated Disposable Inner Cannula 6 Size, For Use With 6dfen 6dcfn in large quantity or you are a Hospital or Medical facility and need help on making a purchase of Mallinckrodt Medical Inc Shiley™ Fenestrated Disposable Inner Cannula 6 Size, For Use With 6dfen 6dcfn made by Shiley, please contact us.